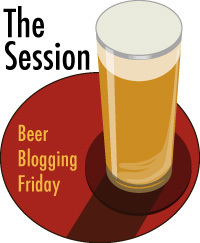 The Session #77: IPA: What’s the big deal? The craft beer movement is gaining momentum – in the U.S., U.K, Italy, Scandinavia, Australasia – drinkers in these traditional and mature beer markets are broadening their repertoires, hearing the voice of craft brewers and slowly opening up to a new philosophy – of difference, of experimentation and of expectation of choice. And India Pale Ale, or IPA, is the poster boy of the movement – in its well structured, challenging yet rewarding, countenance – it stands for everything that large scale manufactured pale beer is not. Yet it is in those pale, ‘lagery’ seeds of why IPA is a big deal. According to the latest studies from the Neolithic Cerevisial-Archaeology Unit in Portland, Oregon* beer started as a bready, mushed up foodstuff, mixed with water in ceramic pots and left to stand whilst the Godisgood worked it’s magic and turned it into a hearty, safe, nutritious drug. And although brewed significantly better – beer remained a dark, chewy, opaque food replacement until the nineteenth century. No wonder people enveloped lagered beer so in a revolutionary embrace. It was easier to drink, eminently refreshing and visually appealing – a beguiling, magical, experience – almost incomprehensible given everything they had drunk up to that point – it would be like having KFC Chicken Nuggets that actually contained chicken. After two years of pretty much exclusively drinking pale ales and IPAs for the last two years, I lived through something of this experience when I recently cracked open a bottle of four of Pilsner Urquell (see http://www.beertintedspectacles.com/?p=369). And then, a few days later, I reverentially removed a bottle Sierra Nevada Torpedo from the beer fridge, an ‘Extra IPA’, 7.2%, one of Chico’s finest. Just levering off the crown led to an attack of citrus fruit aromas, then on pouring, a billowing, off-white head, beautifully constructed and lacing down the glass sides with each sip like tree rings showing their annual growth throughout the heartwood. The maltiness had a walnut bready character, biscuit but with some nuttiness – Hob Nobs maybe? Yet despite its considerable punch, it was a refreshing, drinkable beer – all the things that I had experienced a couple of weeks prior but with a well brewed lager. So I think the ‘deal’ is this: Pale Ale represents two things. Like lager it is a base: a base for challenge, for experimentation, for moving beer on, for saying, ‘Oh, I like this, but I think I can do better’. Pale Ale becomes IPA, IPA becomes Double IPA, Double becomes Extra, becomes Black, becomes Cascadian, becomes Indies, becomes Pacific. It’s a becoming sort of beer. Unlike lager though which over the last 40 years, has got progressively lighter in alcohol, less bitter and paler in colour, IPA turned left at the lights, not right, and we see some of the beers that writers fret, fete and fight over today. And then there’s adoption. It’s a simple human trait – we want to prove how we’re different. How we’re our ‘own man’, how we’re independent. 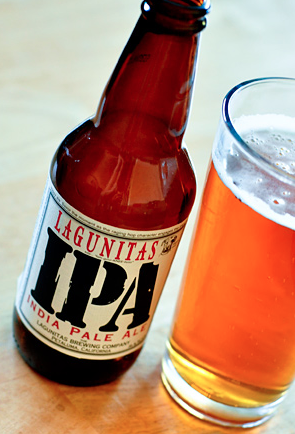 IPA is not my Dad’s beer, blimey, it’s not even my older brother’s beer…it’s mine…. but most of all, IPA isn’t everything else. It isn’t mass brewed, it’s revolted against its Burton on Trent, Imperial roots and become a tattooed punk with multiple piercings through places too tender to speak of; a banner waving revolutionary demanding the end of the old order. And we all have a bit of the revolutionary in us, don’t we? Author David PrestonPosted on July 5, 2013 Categories Brands, Pale and India Pale Ale (et al), The SessionTags Black IPA, Cascadian IPA, Double IPA, Godisgood, Pacific IPA, Pale and India Pale Ale (et al), Torpedo Extra IPA1 Comment on The Session #77: IPA: What’s the big deal?